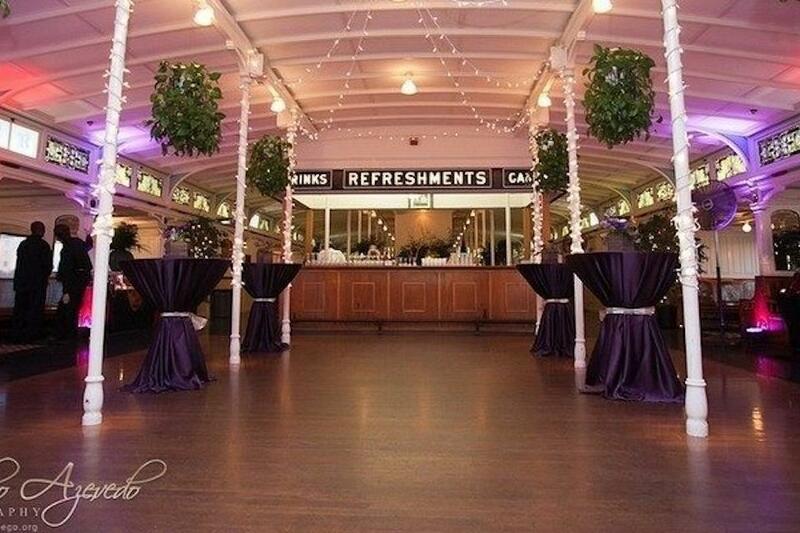 Rent Maritime Museum | Corporate Events | Wedding Locations, Event Spaces and Party Venues. The Maritime Museum San Diego offers beautiful yacht and oceanfront wedding ceremony and reception locations complete with a Victorian ballroom, optional sailing yacht weddings, and dockside wedding ceremonies in San Diego. The Maritime Museum San Diego offers beautiful yacht and oceanfront wedding ceremony and reception locations complete with a Victorian ballroom, optional sailing yacht weddings, and dockside wedding ceremonies in San Diego, Southern California. Personality, possibility and pizzazz are words used to describe this fantastic and inspiring waterfront wedding ceremony and wedding reception location. Conveniently located on San Diego Bay's downtown scenic waterfront, the museums ships are within walking distance of hotels, shopping and an abundant array of world-renowned amenities. Hailed as one of the most sought after wedding venues in all of Southern California, her multiple unique venues offer; timeless beauty, incredible picturesque views, sensational service, complete with a rare afford-ability. Full beverage and catering services are available. Music is permitted with no shut down times.